If you're a little savvy about credit, you probably know that each of us is entitled to a free copy of our credit report, once a year, from each of the three main credit-reporting agencies. (You can access these easily online at annualcreditreport.com.) And if you're willing to pay a few dollars, you can get your credit score, as well. That's great, but according to our new national financial watchdog, the Consumer Financial Protection Bureau, credit scores vary widely, and the ones you're given may be very different from the ones lenders and other businesses actually use. 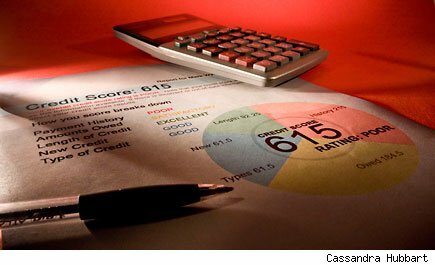 Because your credit score is used for much more than just predicting how reliable a borrower you'll be (potential employers and landlords check it, as do some utility companies, insurers, and even car-rental companies), a poor score can doom you to steep interest rates and even outright rejections. It can cost you tens of thousands of dollars, or more. The CFPB looked at 200,000 credit records from each of the three main credit-reporting agencies: Experian, TransUnion, and Equifax (EFX). Each agency uses its own algorithms to calculate credit scores, and each one actually has more than one way to do so. All that complexity might be OK if it didn't result in wide variations. But wide variations are exactly what the CFPB found. The good news is that most results -- 73% to 90% -- were relatively consistent: If you receive a high score from a model used to generate a score given to consumers, you'll most likely also get a high score with a model used to generate scores for lenders. But not always. Between 19% to 24% of the time, consumers would get a score different enough to bump them into the next score category -- potentially a worse one. And the remaining 1% to 3% of consumers would receive credit scores that differed by two or more score categories. How much of a difference does it really make if you end up in one category versus another? Here's some information, from the horse's mouth: The FICO website offers a handy calculator that lists the different typical interest rates offered to different FICO score categories. When it comes to interest rates on long-term loans, seemingly small differences can add up to big money. For example, the best category above results in a monthly payment of $623, while the worst category demands $758. That's a difference of $1,620 per year. But look at the lifetime interest paid on the two loans, and the dollars really add up: The best category leaves you paying a total of $74,446 in interest, while the worst category will eat up $122,905 in interest -- a difference of $49,459. Even the difference between the best category and the next-best one will cost more than $6,000 in total interest paid. Some small differences in credit scores can cut you off from a mortgage entirely. According to the CFPB report: "Fannie Mae generally won't buy mortgages with FICO scores under 620. So, for consumers whose scores are in the relevant range, a small variation in a consumer's score might result in his or her score falling above or below such a cut-off, with dramatic implications for his or her access to home loans." The CFPB study shows that you shouldn't put too much stock in any credit score you might purchase. It might be significantly different from the one a lender or other business is given. That said, consumers are not totally powerless in this situation. An ideal credit report will show a long history of on-time payments on a variety of debt (such as a mortgage, car loan, and/or credit cards). It will also reflect that you haven't been maxing out your available credit and that there haven't been lots of inquiries on your account lately. Much of this is under your control, and over time you can build a strong credit history that results in high credit scores. Even if the credit score you're given isn't so hot, remember that the lenders or businesses you're dealing with might have been given a significantly different one for you, and possibly a higher one. It can pay to shop around, and not resign yourself to unattractive terms. The variation in scores isn't great news overall, but it could work in your favor. Each hard credit card inquiry will cost your score between three and five points and stays on your report for two years, though they only negatively impact your score for about half the time they appear. One missed payment may seem innocuous enough, but in reality a single delinquency can cost a previously stellar credit score to fall more than 100 points. The good news: As long as the missed payment doesn't lead to additional woes, your score will start to rebound relatively quickly and it can get back to good standing in about 12 months following the delinquency. To avoid taking the big hit, consumers can try calling creditors to ask for a good will deletion. They are more apt to oblige if the late payment was truly atypical behavior. You should think twice before officially closing that credit card you opened back in college, especially if you're getting ready to apply for a new line of credit. Closing an old account can have a negative impact on yourcreditscore since it can lower your credit-to-debt utilization ratio, which is essentially how much credit you have at your disposal versus how much credit you are actually using. According to FICO, it can also cost you points you might have been netting by having an ideal number of credit cards in your wallet. The exact effect this has on your score will vary, depending on the rest of yourcredit profile, but the advice is consistent. "If there is no annual fee, just charge something small every now and then," says Adrian Nazari, CEO of Credit Sesame. This will keep the issuer from deciding to close the account for you. As MainStreet has previously reported, it's never a good idea to bump up against your overall creditlimit because your credit utilization ratio will appear sky-high. However, according to Chris Mettler, founder of CompareCards.com, maxing out a single card can negatively influence your credit score as well. (Again, the exact impact would depend on the rest of your creditprofile.) As such, if you do have a particular card that's bumping up against its limit, you'll want to pay that down as soon as possible. "You don't want your balance due to be over 33% of the availablecredit line," Mettler says. Credit card issuers typically only report two things to creditbureaus each month: whether you're up-to-date on all your payments and what your balance at the time is. As such, running up big purchases right before your statement closes – and the issuer reports the information – can negatively impact your credit-to-debt utilization ratio and subsequent score, regardless of whether you go on to pay off that balance on time or not. "The trick is to make sure your balance is low before it is reported," Nazari says. This is why it can be a good idea to pay off purchases as you make them or prior to the end date of your billing cycle. Even if you're not particularly credit active, it's a good idea to take advantage of the free annual credit report the Fair Credit Reporting Act entitles you to, if only to scour it for incorrectly attributed delinquencies, accounts or inaccurate balances, which can all do varying amounts of damage to your score. This is because errors on credit reports are all too common. As MainStreet has previously reported, about 30% to 40% of all credit reports have some type of error on them, some of which can unfortunately be difficult (and time-consuming) to remove. You may think that you don't owe that unpaid medical bill that keeps getting sent to your house, but your score is still in jeopardy if you decide not to pay it. Many places that don't lend money, like a hospital or cable company, will send their unpaid bills to a collections agency after a certain amount of time and they will report you to the credit bureaus. Similar to a missed mortgage, credit card or auto loan payment, this delinquency can cost good scores 100 points or more. "Whether you are right or wrong, [the bill] will negatively impact your score," Mettler says. As such, consumers may want to shore up the bill in an effort to spare their score or dispute the bill through proper channels to get it eradicated. Longtime Motley Fool contributor Selena Maranjian, whom you can follow on Twitter, holds no position in any company mentioned.